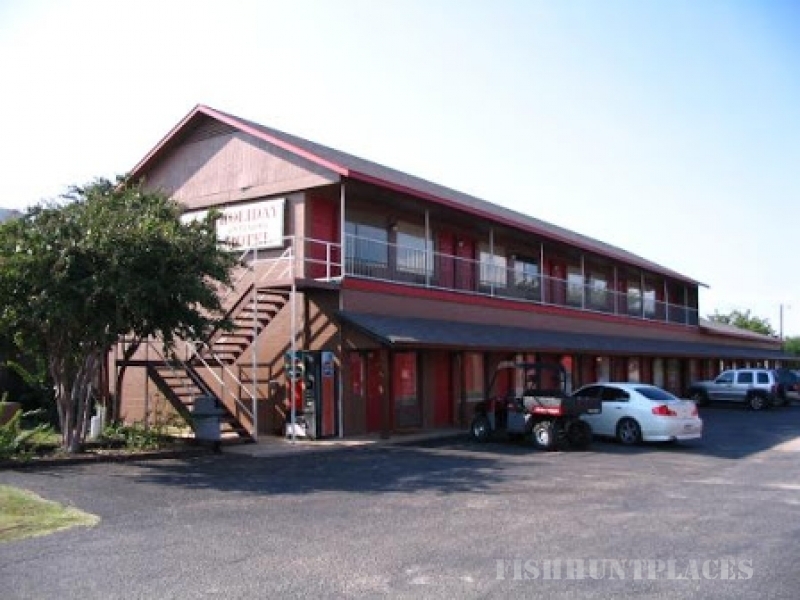 Holiday On Texoma Lodge is located just down the road from Highport Marina on the Texas Side. We are the closest, most affordable lodging to the water and largest marina on the lake. Bar and Grill serving dinner daily located across the street, convenience store and bait store just down the street, Island Bar and Grill located in Highport Marina serving breakfast, lunch, dinner, spirits, and people watching daily.